Check out this recent article on Tegu blocks from CNN Money. We think that these magnetic wooden blocks, made from sustainably-harvested tropical hardwoods in Honduras, are fabulous! The founders and creators are grandchildren of an accomplished Kiwi architect and they grew up with a love and appreciation for woodworking. 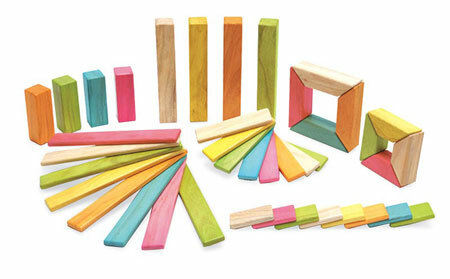 Their inspiration for the blocks came from the classic wooden toys of Europe. Vote For Us for Best Toy Store in Chicago! We’ve been nominated for Best Toy Store by Time Out Chicago Kids! It just takes a minute to vote (we’re the very first choice in the first category). Please share it with your friends, too! Posted in Uncategorized. Comments Off on Vote For Us for Best Toy Store in Chicago! Dads, have fun playing with your kids today and everyday! This short article drives home the importance of dads spending quality time playing with their kids. Posted in Uncategorized. Comments Off on Happy Father’s Day!